A-Frames make a great side walk signage and they can be designed to convey a particular product offering or service. 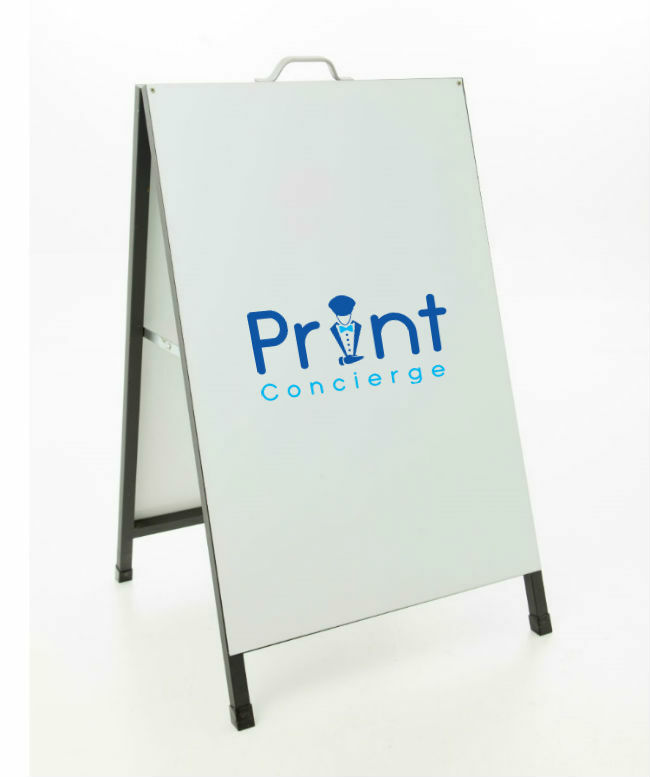 Also known as sandwich boards, A-Frames are mobile and versatile as they are very easy to carry. They are an effective tool to attract foot and road traffic. The best feature about A-Frames is the structure itself is very durable. The only aspect that requires replacing is the printing component, which is when you choose to convey a new message. What Are A-Frames Suitable For? Please ensure you check your local council regulation in regards to using A-frames in public areas.